The Old Town Hall or Staduis in Bruges is a must-see attraction in the city. Its Gothic exterior is pretty enough, but the inside is simply magnificent. 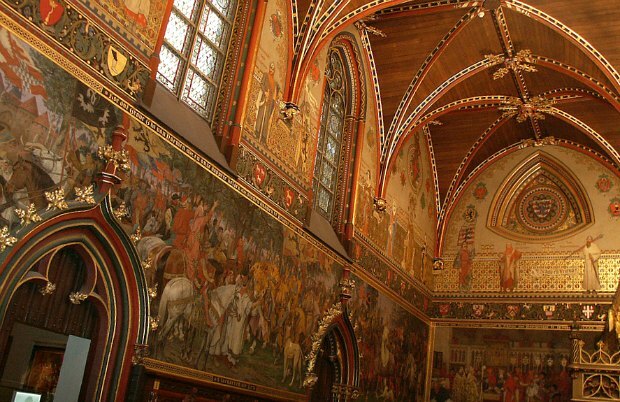 The golden ceiling is striking and the impressive paintings all around the walls intricately depict important events in the history of the Bruges. There are usually plenty of chairs laid out and we just sat on them for a while staring in wonder at the room around us. The city of Bruges was governed from this room for over 700 years and the building dates back to 1376 making it one of the oldest town halls in Europe. The room is considered a work of art in itself with statues, the wall paintings and an incredible ceiling. The entrance to the town hall is in the Burg with a ceremonial staircase leading to the Gothic hall above. 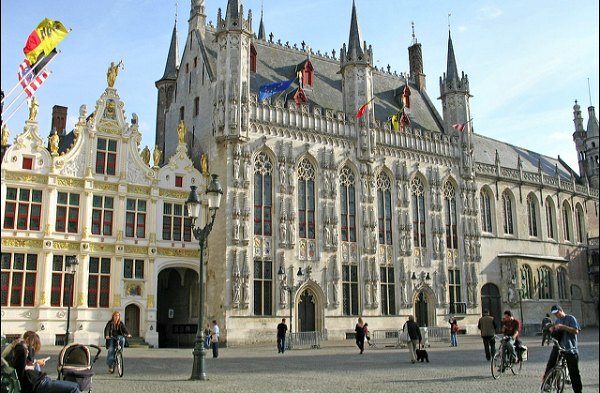 Bruges Stadhuis is open Daily from 9.30am to 5pm. Admission is 4 Euros (2016 prices). 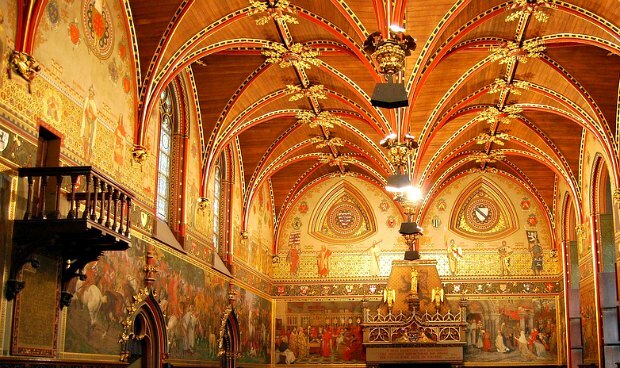 Admission to the hall is included with the Brugge Museum Pass which includes a number of other attractions in Bruges.